The fascinating floating museum at the Embarcadero consists of six historic ships and two submarines: the Star of India, which is the oldest active sailing ship in the world, the steam ferry Berkeley, the steam yacht Medea, the San Diego Harbor Pilot, also an actual Soviet-era diesel B-39 submarine and the deepest-diving submarine ever, a retired diesel research submarine named the USS Dolphin. You will also find two replica ships one is a detailed re-creation of a 24-gun British frigate named the HMS Surprise, as seen in the movie Master and Commander starring Russell Crowe the other is a 145-foot long ship the Californian, which is a replica of the 1847 Revenue Cutter C.W. Lawrence, which patrolled the coast of California enforcing federal law during the gold rush. The Californian is the official tall ship of the State of California. 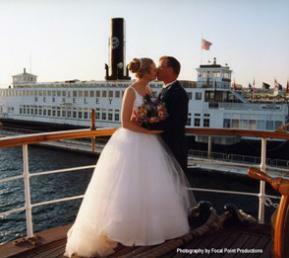 You can go aboard and explore these historic ships, see maritime artifacts, charts, exhibits and take docent-led tours. Open daily 9 a.m.–8 p.m. with extended hours Memorial Day through Labor Day. Admission is ($16) adults; ($13) active military with ID, seniors 62 and over and students 13—17; ($8) children 3–12; children under 3 free. Purchase Family Package Admission and save $5. For discounts and other perks, become a Maritime Museum member ($45 and up). Be sure to use their discount coupon and get $2 off admission! Be sure to visit the maritime gift shop aboard the steam ferry Berkeley or shop online. 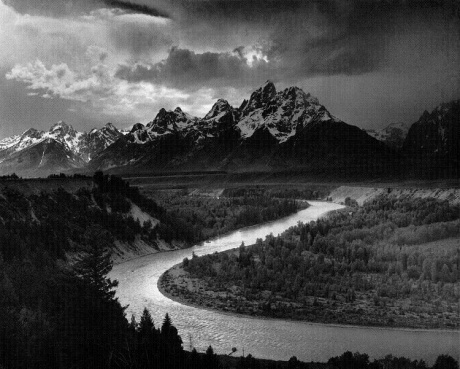 Fragile Waters Now-September 15th Works from world-renowned photographer Ansel Adams highlights the Fragile Waters Exhibit. Pieces from the personal collection of the Adams’ family are on display along with impressive works from marine landscape photographer Dorothy Kerper Monnelly and underwater photographer Ernest H. Brooks II. Together through the universal language of black and white photography, the three artists bring to focus our planet’s most precious resource. 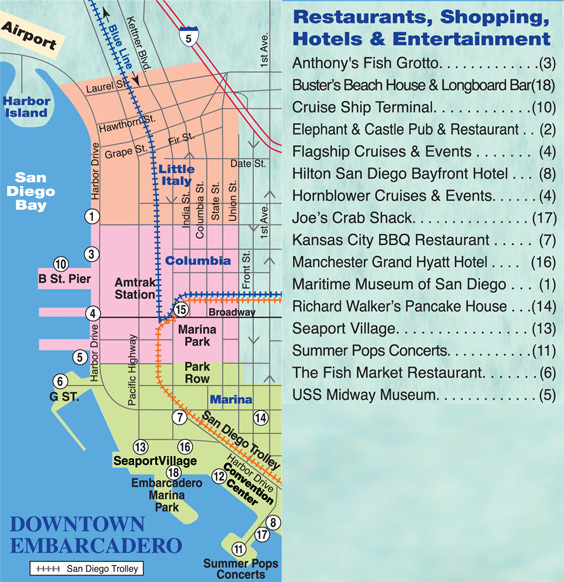 The Maritime Museum of San Diego’s permanent exhibit collection is presented in five galleries representing major themes of maritime history and their relation to San Diego, its harbor and strategic position on the Pacific. 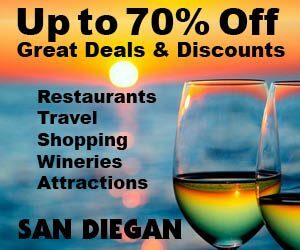 Present permanent exhibits include; Age of Sail, Age of Steam, Charting the Sea, Harvesting the Ocean and San Diego’s Navy. With the purchase of General Admission ticket you can visit all of the museum’s historic ships, exhibits and San Salvador’s build-site at Spanish Landing Village. You can also purchase additional tour packages as shown below. Also for ($5) above the cost of admission you can also take a 45-minute historic bay cruise aboard the Harbor Pilot. Click here for more information. 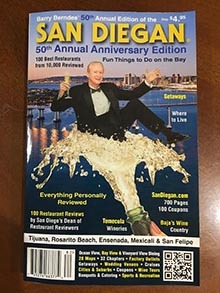 Most weekends plus lots of Fridays during the summer season, fun on San Diego bay! 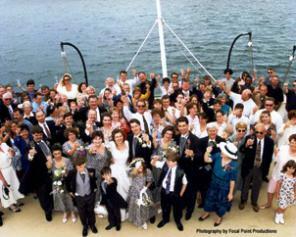 Check the calendar for sail dates Click Here. Tall Ship Adventure includes a four-hour day sail aboard the schooner Californian. Boarding begins at Noon. Sailings depart the museum at 12:30 p.m. and return at 4:30 p.m.(most days). Click here for more information. Seasonal whale watching available on the historic yacht America. Experience ecological watching aboard a replica of the ship the America’s Cup was named after. Click here to learn more. 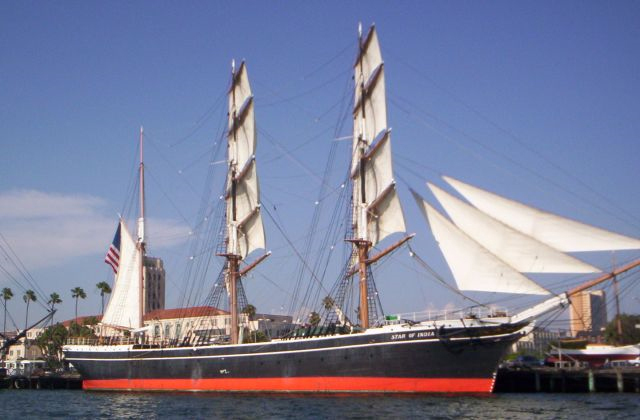 Join Maritime Musuem as they set sail to the beautiful waters surrounding Catalina Island aboard the schooner Californian. New this year the Catalina Adventure Sail will use the tall ship, Californian, as our base camp for a kayak adventure. Tours are available June thru August. Click to learn more. 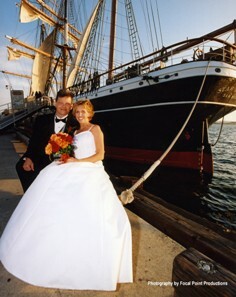 The Maritime Museum of San Diego makes her historic ships available for having corporate events, private events, team building programs, tall ship sailing charters and beautiful waterfront wedding receptions.